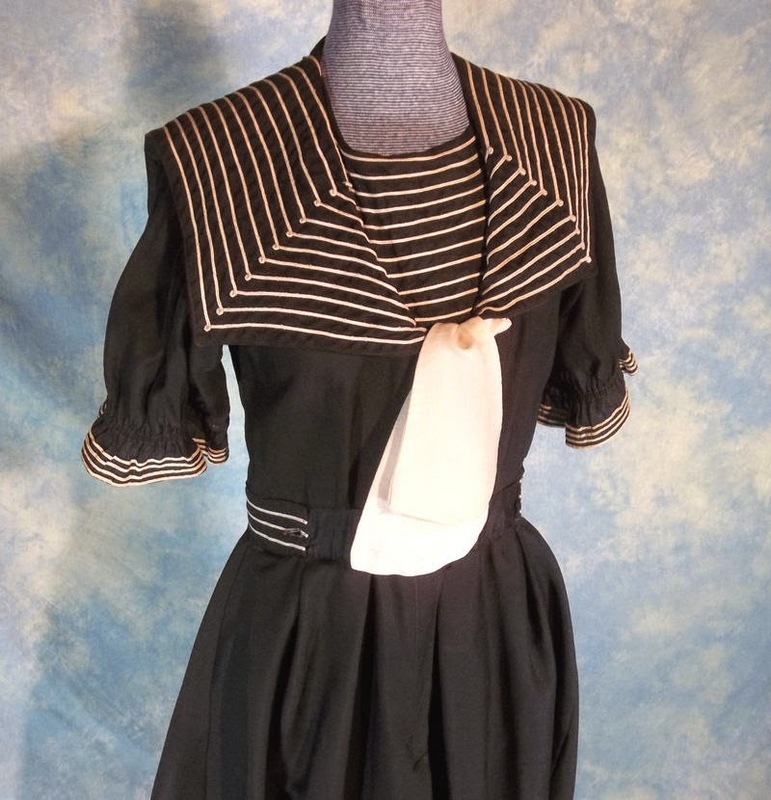 Authentic Antique 1880s-90s Victorian Bathing Costume Swim Suit/Dress. Constructed from a light weight black linen that feels like a wool, silk, linen blend to me. 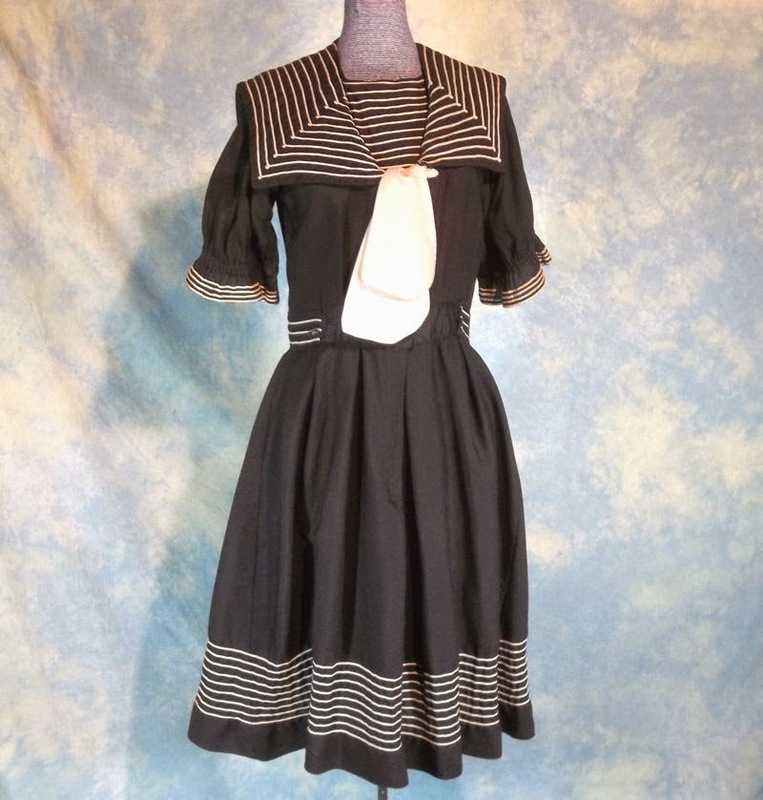 Wonderful detailing throughout with many rows of decorative piping, puffed sleeves, fitted waist line and a cute white tie in front. 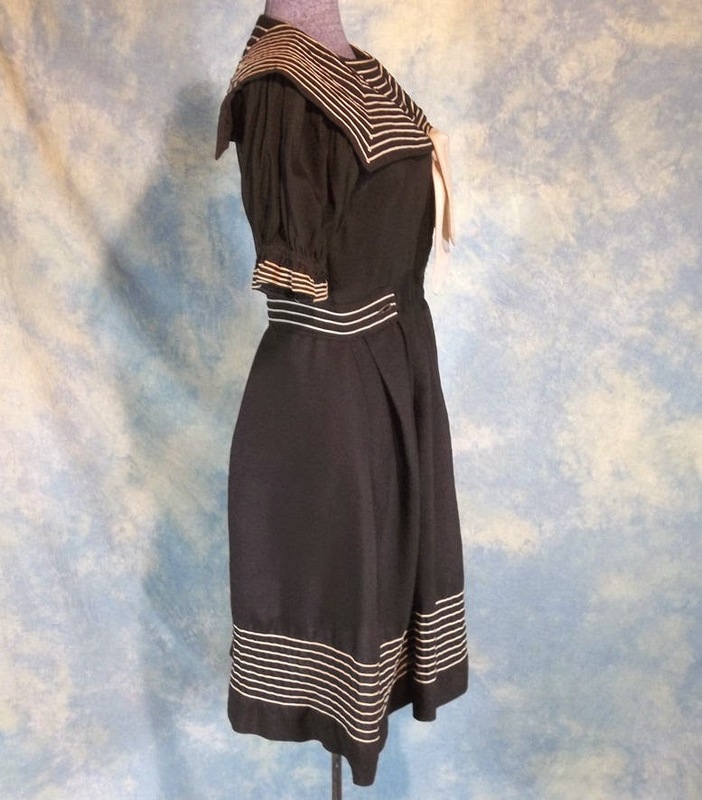 A classic one piece suit with a wonderful large midi collar and would have been worn over separate bloomers. 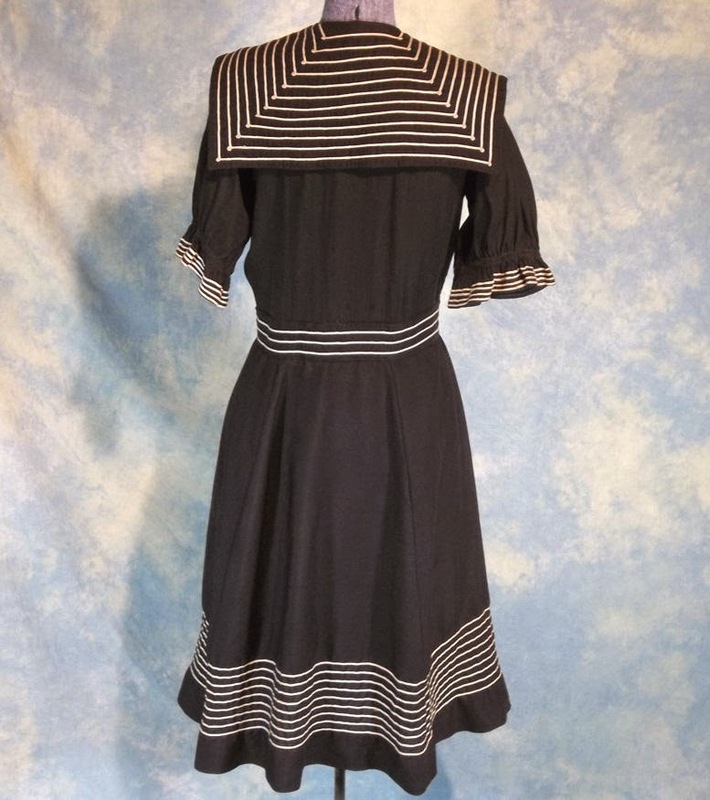 It is unlined and there are no tags or labels remaining. Opens down the front with hidden buttons and there appears to be a small missing belt piece in front that would have buttoned on as well. Condition is VG used vintage with the missing belt piece being the only significant issue of any sort. After that, I could find a couple of small holes in the back near the waist that are definitely mend able and some looseness in the seams around the waist buttons/hooks in front. Otherwise it’s very bright and fresh with no heavy wear, tears, stains or repairs. Structurally sound and sturdy ready for display or wear. 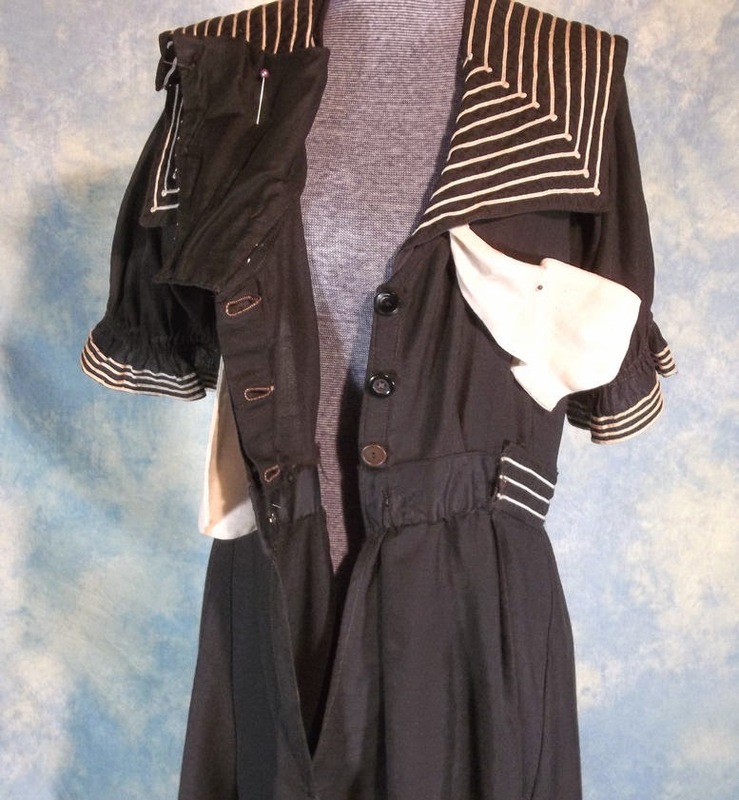 Outside dimensions while lying flat are: 37" Bust, 33" Waist, Full Hips, 14" Across shoulders and 41" overall length from back of neck to bottom of hem.